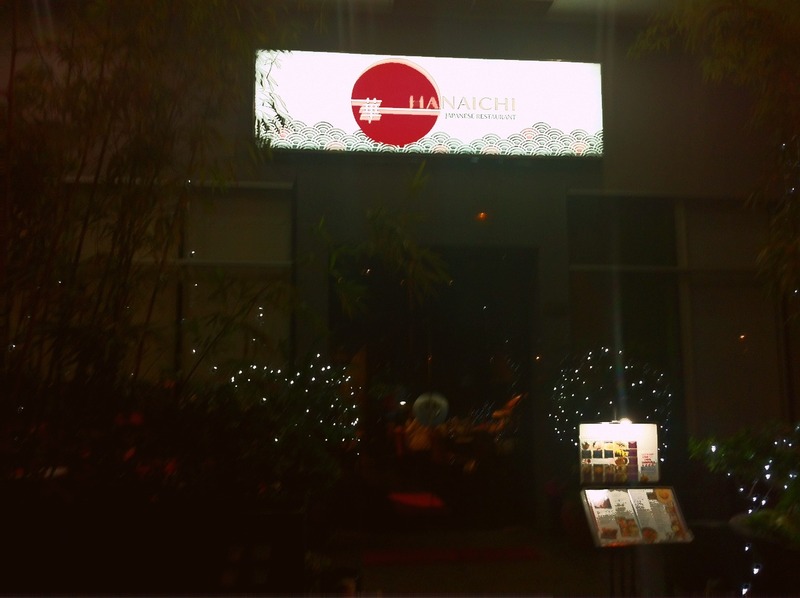 My friend Jaye, being the true foodie among my bunch of friends, convinced me to purchase the Hanaichi deal at Deal Dozen last month. I knew nothing about the restaurant then but since I love Japanese food and I trust Jaye’s recommendations, I bought the coupon for us. Apparently, this re-opened restaurant (formerly Nanohana) offers authentic traditional Kaiseki cuisine to the Filipino public. Hence, their menu consists of several set meals to appeal different appetites. The meal we purchased included a U.S. Beef Sukiyaki Set, 5-pcs. Ebi Tempura, their famous Unagi Kabayaki, and a serving of delicious Spicy Tuna Maki. The U.S. 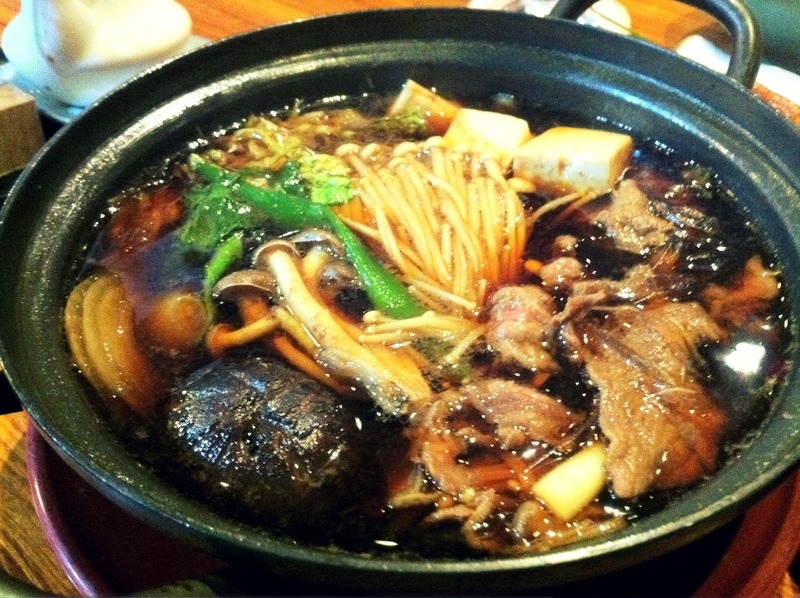 Beef Sukiyaki was really good! The beef was soft and tasty plus it had tons of yummy mushrooms, which I like! 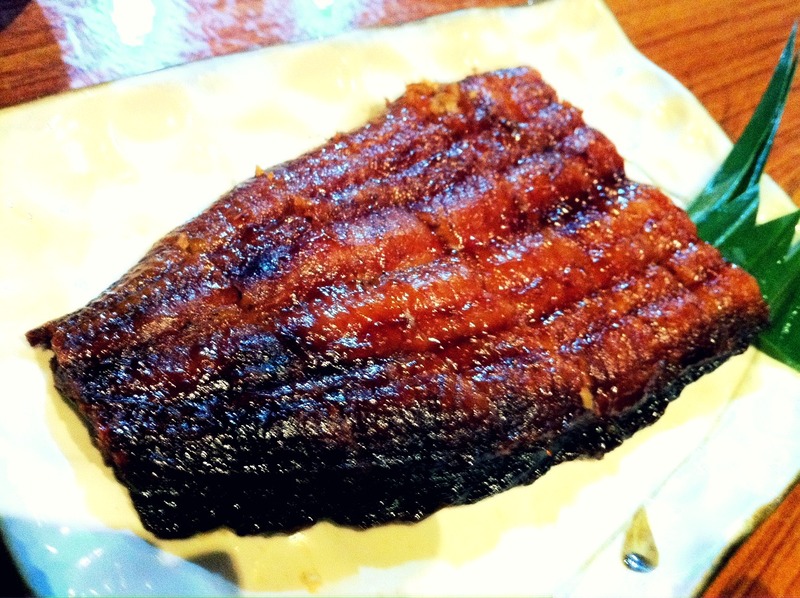 Another friend of mine said that the Unagi here was well-known. When I tried it, I knew exactly why. It was too delicious for words! 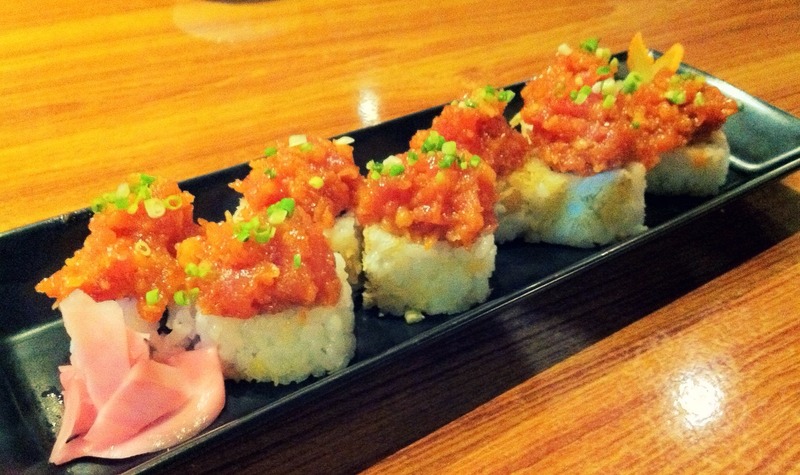 I thought the Spicy Tuna Maki needed a bit more spice but it was all right nonetheless. The dishes on the menu, by the way, were a bit pricey but I think it’s worth it to shell out more cash for some good food and this restaurant did not disappoint. If I had the money, I would definitely try their Wagyu Aburu Sushi. The photo of it on their website looked so good. For reservations, give them a call at 556-0070 / 556-0969. P.S. Photos were taken using Jaye’s iPhone 4. Thanks, Jaye! Just had Mixed maki for supper now and still craving for some spicy tuna maki. Thank you! 😀 I love jap food too! wats good in manila is that different kinds of asian to mexican to arab restaurants abound. 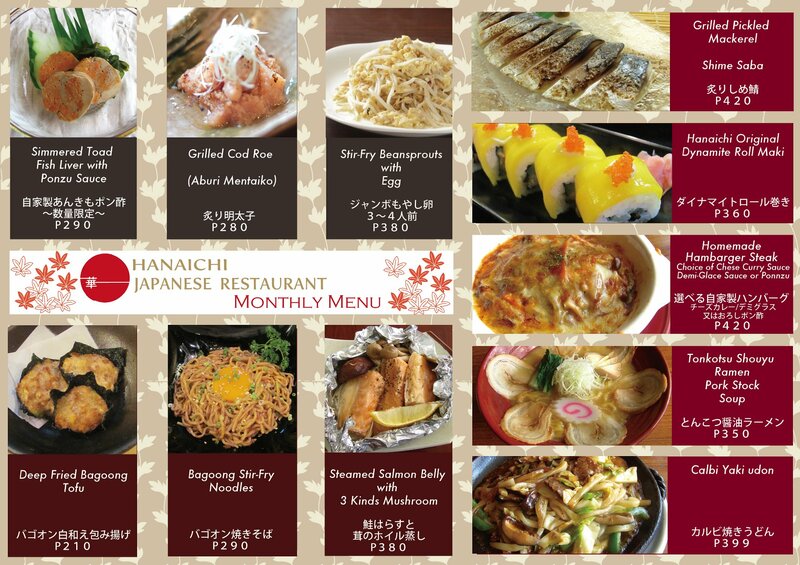 In our province, there are no exclusive japanese resto alhough some restaurants offer Japanese food costly. I love Japanese foods especially sushi. But I had a very bad experience with it in one of the restos here. Because of that, I learned to make my own sushi. hehe.. Sushi is still ♥. 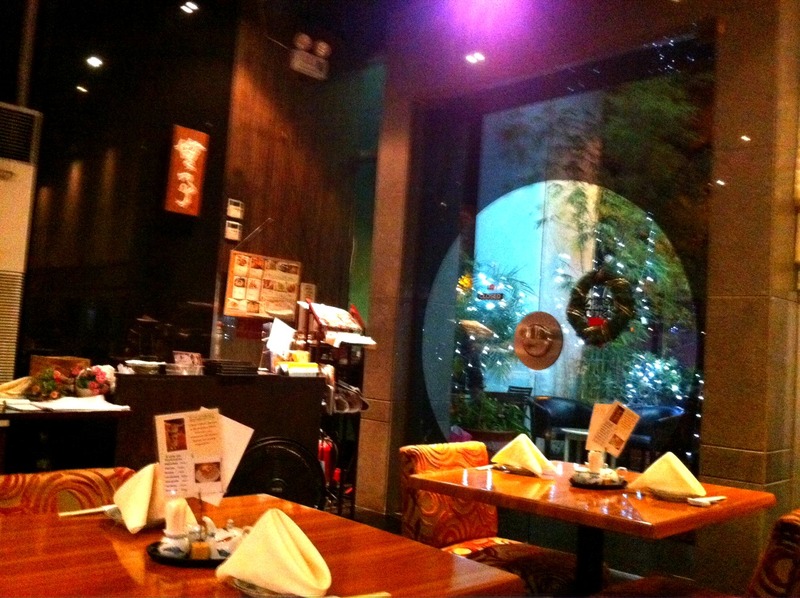 I have tasted the food there and I agree that the food served is simple great! I mean, it’s not your typical Japanese restaurant, and they tend to bring out rich and distinct flavors lacking in most other Japanese restos. 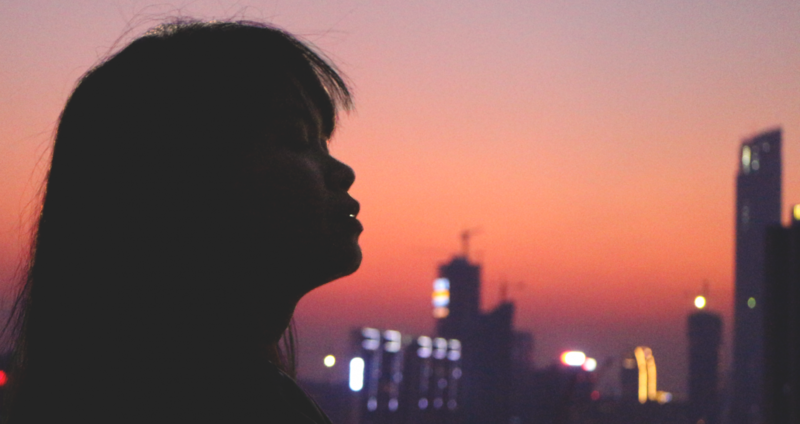 Tempura, Sukiyaki, Inaki, Maki, these Japanese foods sound weird just a name alone. How much if we could taste them or even eat them. But the big question is can we afford the price of such foods? Tempura is sold here in our place in a rolling store. And it is very cheap. Even school children love to buy it. The sauce, I think, is the main reason of its taste or savor which people are wanting more and more!. 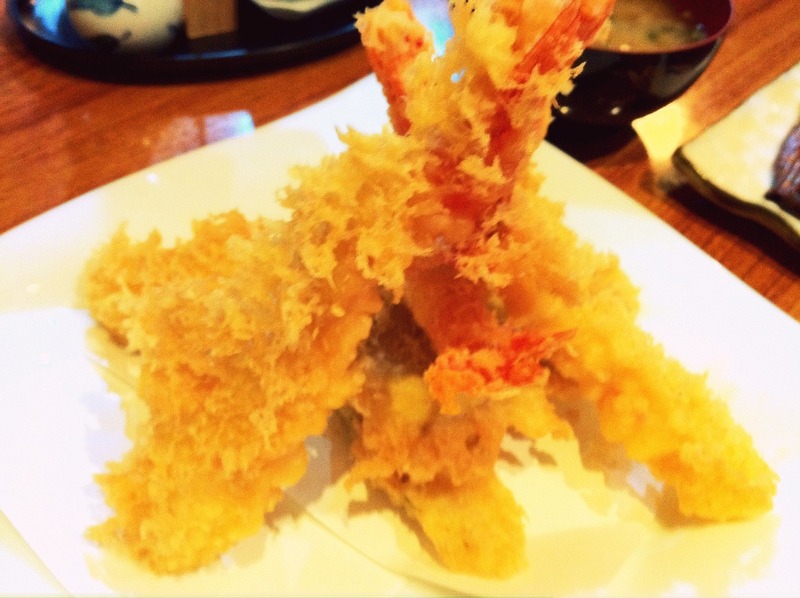 i’m not a big fan of japanese food except for tempura. Awww really??? I super duper love it! Just the sound of the Japanese food names makes me crave right now. I am interested in tasting their maki and hopefully they have a variation of the Japanese Ramen. I’m not sure why you’re saying its “worth it”. The pictures already show their simple presentation. 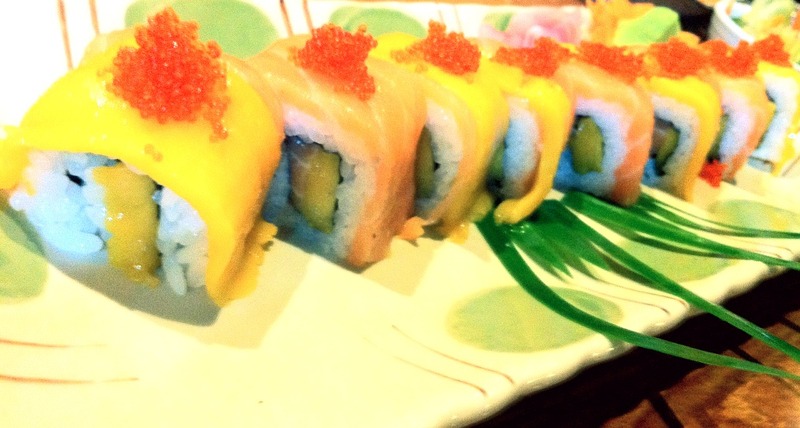 Their starting price for a simple roll is almost twice that of some good jap resto. Just my 2 cents.